When it comes to partying, there’s no place like Pattaya. It’s an hour and a half drive from Bangkok, making it the closest among many of Thailand’s beach resorts to the capital city. The proximity to the city attracts a lot of tourists as it’s entirely possible to do some shopping in the morning, then head to the beach in the afternoon and stay for the awesome nightlife that Pattaya is famous for. Water sports enthusiasts and sunbathers flock to the beach during the day, and come sunset, the streets come alive with revelers eager to partake in the endless entertainment possibilities that Pattaya has to offer. Pattaya is divided into three areas, namely Pattaya Beach, Jomtien Beach and Naklua Beach, and each one has something different to offer. Pattaya Beach, particularly the southern part draws many fun-loving tourists looking for a wild and crazy time after dark, thus making this place strictly for adults only. 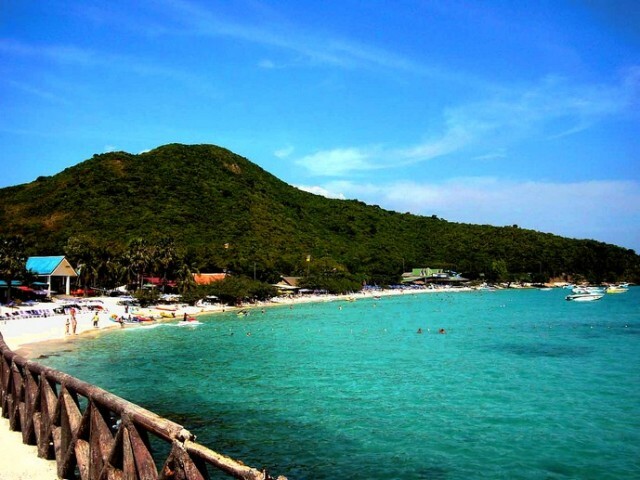 Jomtien, by contrast is more suited for families who are on vacation- it is very kid friendly, clean and less crowded. Naklua Beach is by far the quietest among the three, making it perfect for relaxing and meditating. If you plan to stay in Pattaya, there are many hotels to choose from to suit your preferences. Among those that are highly recommended are the Pullman Pattaya, a 5-star luxury boutique hotel, and Pattaya Discovery Beach. Luxurious accommodations plus world class amenities make your stay extra special. Though Pattaya is world renowned for its nightlife, there are other attractions that make this place beyond the usual beach party town. Visit Underwater World, the largest underwater aquarium in Asia and be amazed at the huge variety of marine life housed in this massive place. 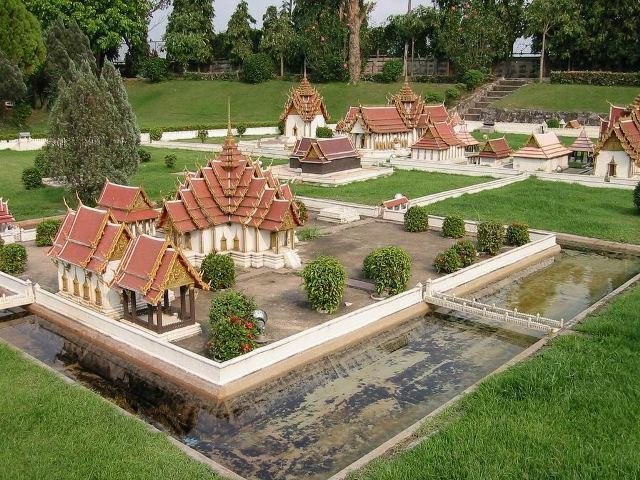 Or hang out at an amusement park where you can see miniatures of famous buildings located all over the world- Mini Siam. The Orchid Farm will delight you with the various kinds of exotic orchids that one can find only in Thailand. Pattaya is great for water sports. Learn to parasail or windsurf. Go snorkeling. It’s the ideal place for water sports enthusiasts. And as for the cuisine, let’s just say that your taste buds will also experience an epic culinary adventure whether you are sampling the offerings of street vendors, having a taste of the local cuisine al fresco, or dining in a 5-star restaurant. Pattaya. It’s a seaside paradise that caters to your every pleasure. It’s not only in Bangkok where you’ll see beautiful architectural structures, often in the form of temples where tourists are welcome to visit. 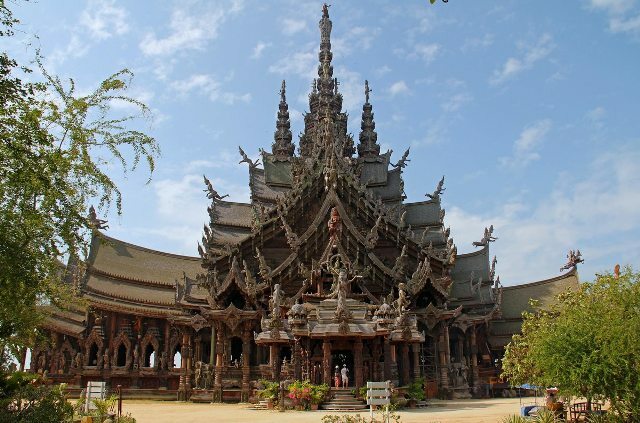 In Pattaya, there’s a Sanctuary of Truth that deserves as much attention as any popular work of art in the country. 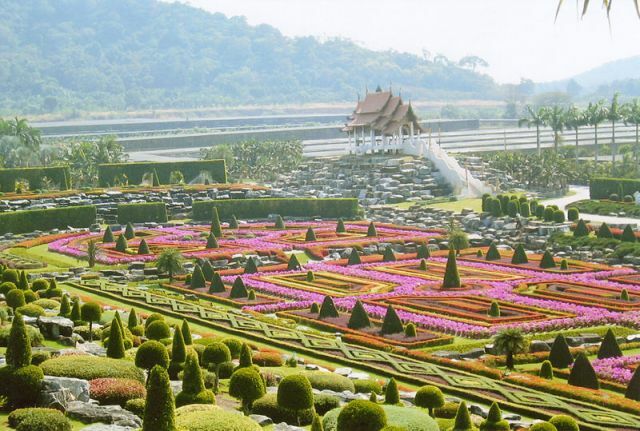 The Nong Nooch Tropical Botanical Garden, a 500-acre botanical garden, is one of the most popular tourist attractions of Pattaya catering to its nature-loving visitors. 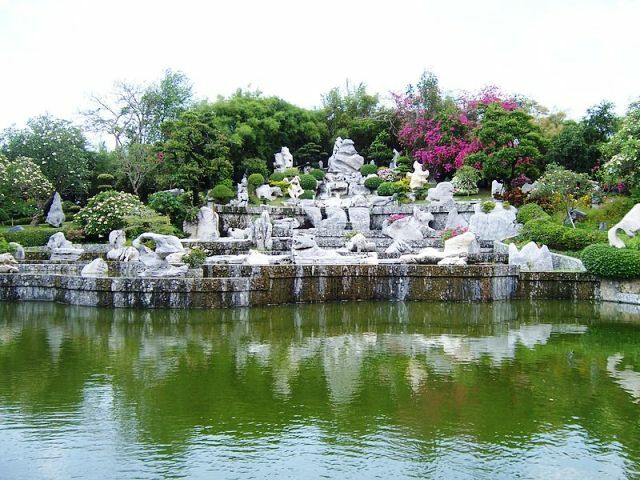 It is said to be the biggest and the most beautiful of all botanical gardens in Southeast Asia. It is in this garden where you can see the largest variety of orchids in Thailand. It is home to over 670 local plant species, different hybrids, bonsais and palms. But it’s not only the plants that draw visitors in the garden, the Nong Nooch Tropical Botanical Garden is also famous for the traditional dance, cultural shows and the elephant shows that it hosts daily. It’s an ideal place to spend a leisurely afternoon in and it’s perfect for families. If three weeks or so are not enough for you to see the whole of Thailand, consider heading to Pattaya and seeing the whole country in less than three hours. The Mini Siam or mini Thailand (Siam was Thailand’s former name), is a park featuring miniature replicas of famous attractions and landmarks in Thailand. There are over 100 models of historically significant objects as well as cultural and historical sites belonging to Sukhothai, Ayutthaya and Rattanakosin periods together with the modern Kingdom of Thailand crafted to their tiniest details to make them look exactly as their originals. The reproduction was scaled down 1 to 25. Certainly, the Mini Siam is a showcase of Thailand’s heritage and culture and the craftsmanship of its people. In the old days, the place only featured Thailand, but now it also has a Mini World section displaying some of the most famous structures found in the whole world. The Mini World and Siam both draw tourists local and foreign. Discover the Terrifying World of Ripley’s Believe It Or Not in Pattaya! 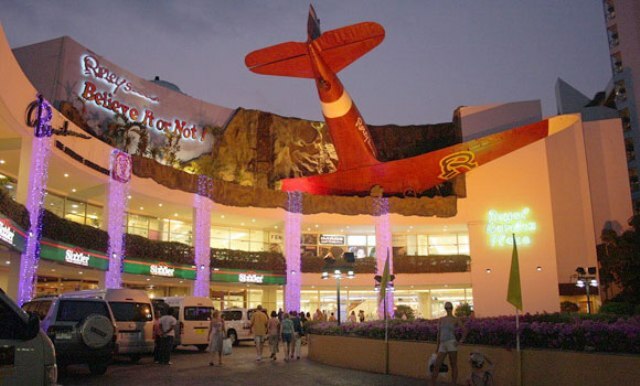 The Ripley’s Believe It Or Not Museum, located at the top floor of the Royal Garden Plaza just a few minutes’ drive from Pattaya Beach, was built after the Ripley’s Believe It Or Not! TV show was received well by the public. The Ripley’s is actually a reproduction of the original 20th Century abandoned storage building of Grimsby and Streaper Casket Company. The spooky building filled with unexplained events, mysterious disappearances and frightening apparitions serves as the theme of the Ripley’s Believe It Or Not. The Million Years Stone Park, more than 70 acres’ stretch of land 15 minutes away from Pattaya, is one of the newest tourist attractions in Pattaya. Made for all the lovers of nature and its wonders, the park contains a huge collection of trunks of trees, rocks, exotic flowers and plants and other rare and beautiful objects from nature. It also houses a crocodile farm in a separate area located within the grounds of the park.